If you have read my blog in the past it's no surprise that my dogs have terrible teeth. In fact, they have had dental problems for almost a decade now. Last year was tough for me financially as I planned two moves within New Jersey and then a cross-country move at the end of the year to Arizona. 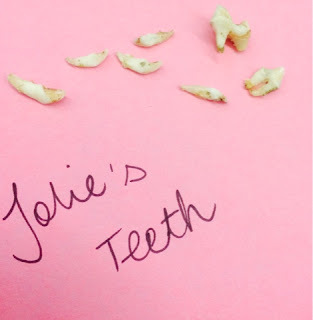 Usually Bebe and Jolie get their teeth cleaned every year but last year they did not. Boy was that ever a mistake. The stench from their mouths became unbearable and it wasn't until I was giving them a bath - see post and photos here - that I knew something was wrong. Bebe's tooth broke and just fell out. She wasn't in pain, didn't cry, but here I had in my hand a very rotten tooth that smelled terrible. I knew that I needed to do something, and do it fast. Since I was new to the area I knew that I had to go off of recommendations and reviews. My dogs are also seniors so I wanted the very best vet in the area. 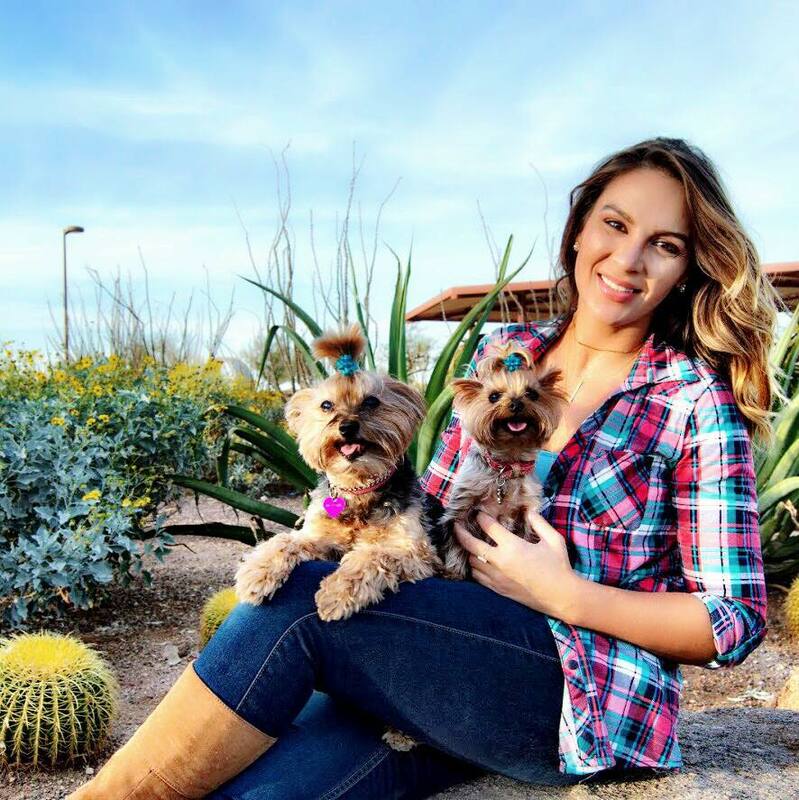 Through a friend, I was recommended to Dr. Alex Casuccio and Scottsdale Animal Healthcare. He and his entire staff are extremely professional and I knew that my dogs were in good hands the moment I met him for the first time. Dr. Casuccio didn't tell me anything that I didn't already know. My dogs teeth were rotten and infected and if not treated ASAP it would lead to much more serious health risks, disease, and possibly death. This is common with any infection, even in humans. I scheduled their teeth cleaning three days after my next payday. I knew I was looking at a few hundred dollars, I paid a little over $1300 after all was said and done. That definitely hurt the wallet. 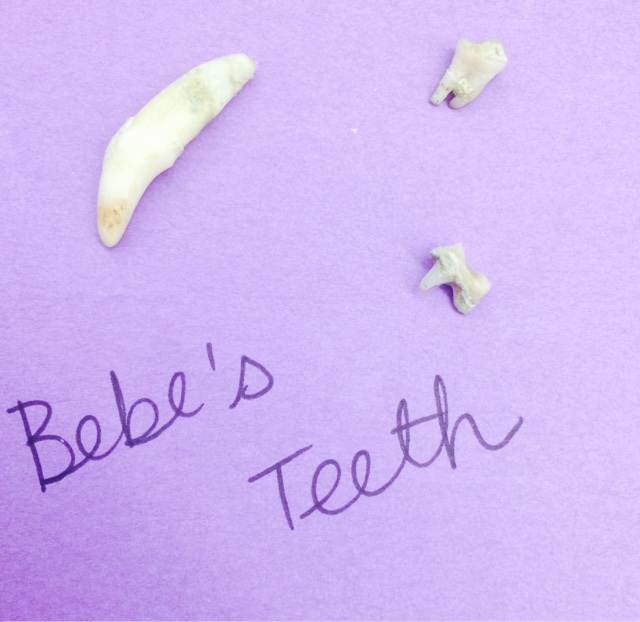 Bebe had a total of three extractions including her beloved snaggle tooth. Everyone just loved her snaggle tooth including me, but sadly it was the most infected tooth in her mouth. The infection reached all the way to her jaw and the vet was very specific and blunt when he said that any chewing would result in a fractured jaw. I've since then been preparing all of Bebe's food to a baby food-like consistency and will continue to do this for the rest of her life. Leave a comment below if you would like high-protein and low-fat homemade dog recipes. 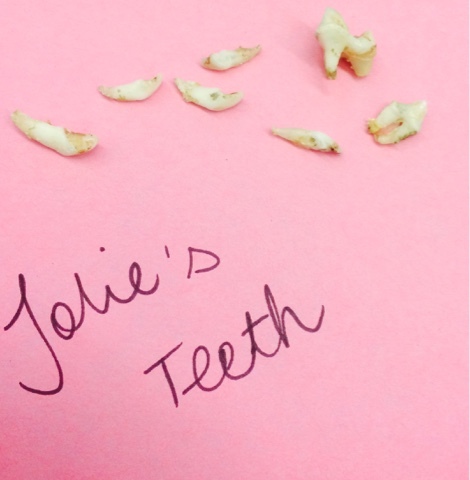 Jolie had a total of seven teeth removed. Her infection was much more severe than Bebe's was and in fact I had no idea. Trying to brush Jolie's teeth takes multiple people and a sedative. Just to have the vet LOOK at her mouth that required three people prying her mouth open. She may weigh 4lbs but her strength is out of the ordinary. Above are the medications and treatments that the vet recommended after surgery. The large clear spray is an antiseptic rinse that is to be used 2x a day. 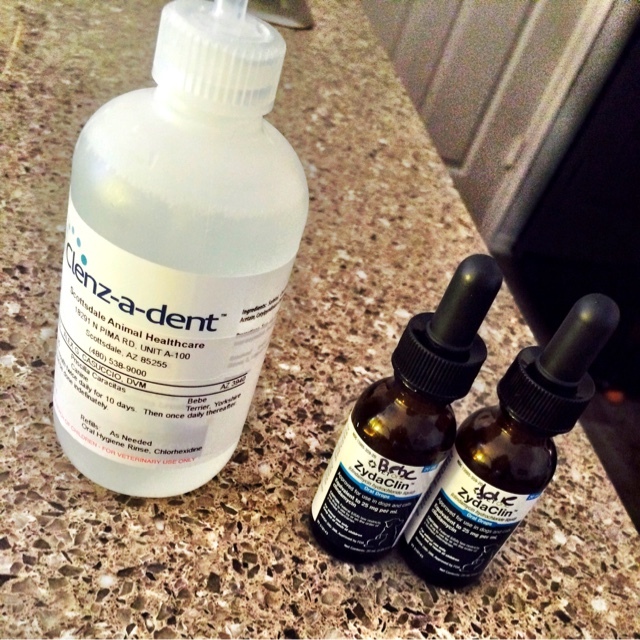 It is called Clenz-a-dent and as the name suggests, it cleans the dogs teeth. Spraying this in my dogs mouth has been quite the challenge. Bebe is good, but Jolie is a nightmare. I'm literally trying to hold her down just to get a few droplets in her on a daily basis. I've used their product in the past before and they are a good solid company. I suggest getting their product on Amazon as at the vet they are usually marked up, someone has to make a profit right? The next item you see in the picture there are two dark glass vials of ZydaClin which is an antibiotic. As you can imagine, after removing infections in the teeth area it is important to treat the infected area. As per Drugs.com, this medicine is labeled as Oral Drops that contain clindamycin hydrochloride which is the hydrated salt of clindamycin. This liquid is given once a day to each pup until empty. 1cc for Bebe and .5cc for Jolie. Canine dental hygiene is extremely important and can turn deadly if left untreated. I urge you to educate yourselves on the issue, especially if you have little dogs! It is common in them the most! Please feel free to ask any questions. Thanks for reading!